Glycemic literally means "causing glucose (sugar) in the blood." Blood glucose levels are closely related to the amount and type of carbohydrates consumed. Glycemia is the related noun meaning glucose or sugar in the blood. High-glycemic foods can cause a rise in blood glucose, which can last for a longer time in the blood. Low-glycemic foods can cause a small blood sugar increase that usually does not last as long. For those who have diabetes, glycemic control is a primary goal. 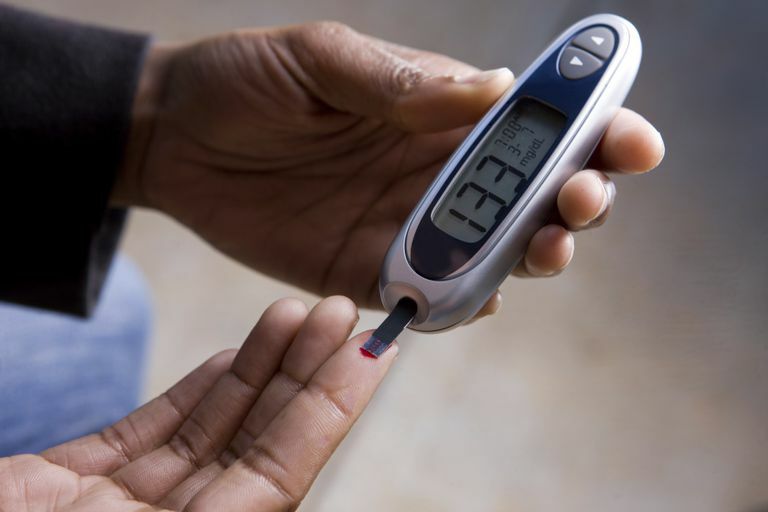 People who are predisposed to getting diabetes, those with metabolic syndrome, insulin resistance or reactive hypoglycemia also have health improvements if blood sugar is more or less stable. Another good reason to keep blood sugar stable is appetite control. It has been shown in research studies that people are hungrier when eating high-glycemic carbohydrates compared to eating the same amount of carbs that are less glycemic. Foods with a lot of sugar tend to be very glycemic. Also, starches in foods such as potatoes, bread, and grain products are made of long strings of glucose, so these foods can be as much or even more glycemic than sugary foods. The more processed a food is, the more glycemic it will be. For example, instant oatmeal in packets is more glycemic than quick-cooking oats, which in turn are more glycemic than steel-cut oats. The glycemic index can give us ideas about which foods will raise blood sugar more. This measure can give us hints about how much a food will raise blood sugar, but there are a lot of variables and are not pinpoint accurate. Does not rank foods based on nutrient content, such as foods low on the index may be high in calories, sugar or saturated fat. It can be difficult to follow the glycemic index. For one thing, there is no standard for what is considered low-, moderate- and high-glycemic foods. Packaged foods do not list their glycemic ranking on the label, and it can be hard to estimate what it might be. Basic principles of healthy eating, portion control, and counting carbohydrates are all ways to help you better manage and control your blood sugar. There are glycemic index food lists that can help you learn more about the glycemic index of various foods and discern which foods might be better choices for you. The following table has examples of foods that rank high and low on the glycemic index. Should You Be Eating Sugar Alcohols If You Have Diabetes?